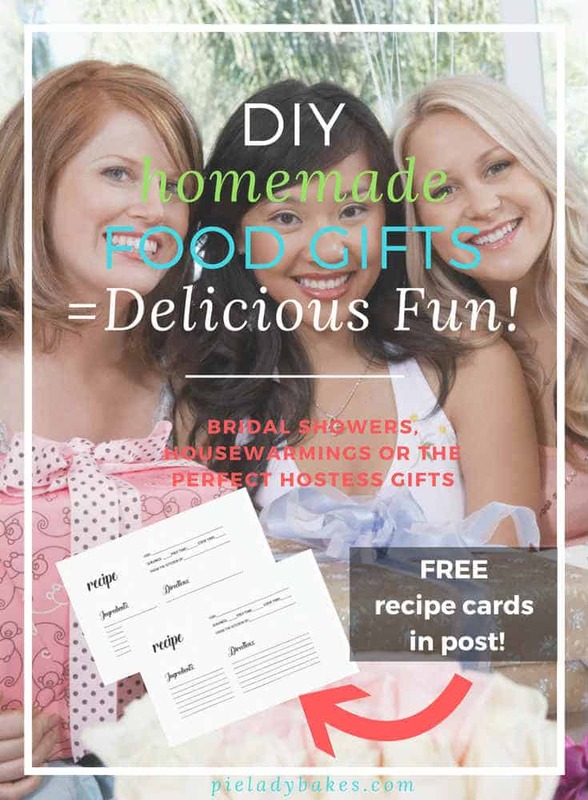 Home » Blog » Simple Living » Homemaking » DIY Homemade Food Gifts | How To Wrap a Pie for a Gift! I’m always on the lookout for a unique way to combine my love of baking and creativity to come up with a gift that keeps on giving. 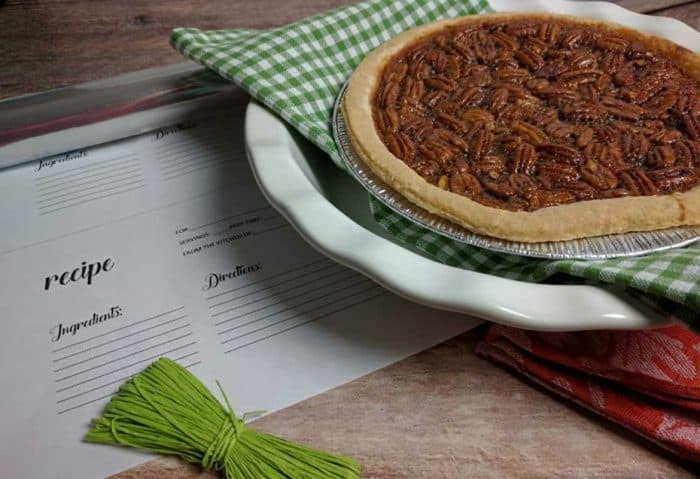 By now the word is out – my passion for baking and pies means that family and friends often ask for their favorite pie – and the recipe! 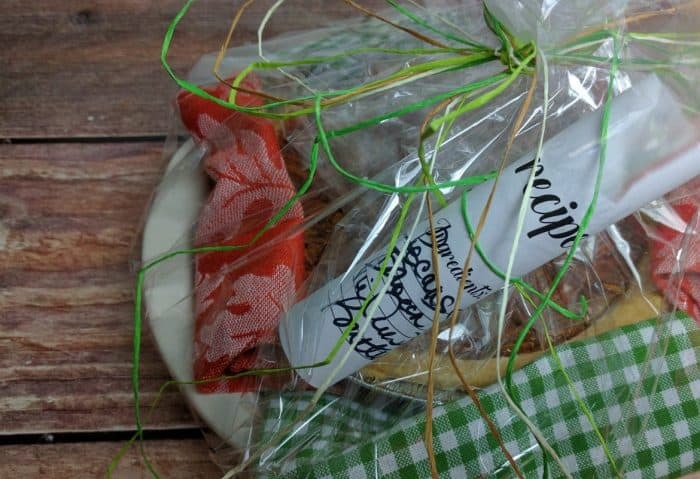 I wanted to share how I wrap a pie as a homemade food gift with you! 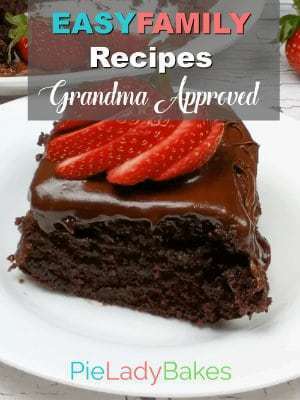 Kind of like DIY meets Baking! What is it? Well I bake a pie, place it in a beautiful pie dish or plate, add a pie server, print out the recipe and wrap it all up in a bow – I like to use raffia, it has a homespun, but elegant look. I usually have a fairly good inventory of pie plates and pie servers since I love to haunt antique shops and flea markets. 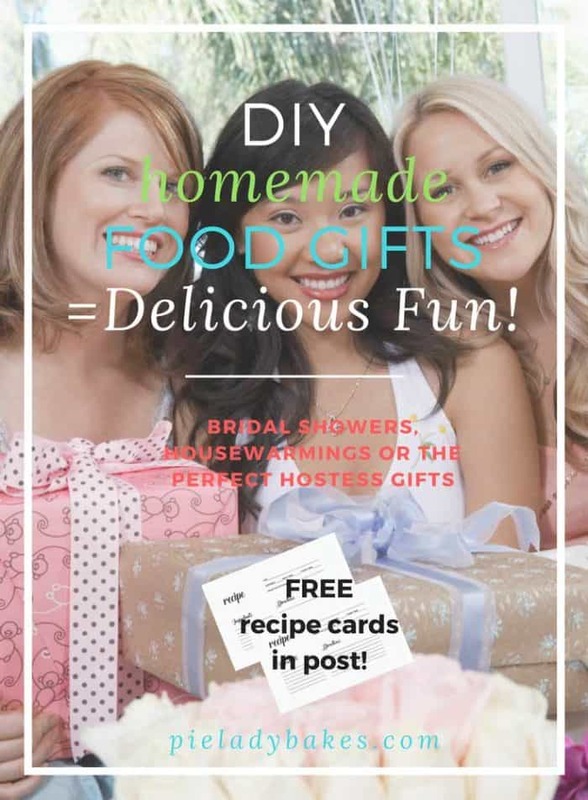 This is helpful because often you don’t have a lot of time to put a homemade food gift together. If you know the person receiving the gift, this part is easy, you can put together a pie plate and server fairly easily. But even if you don’t, I typically choose a combination that I really like personally. It hasn’t failed me yet! Next comes the pie. Again, a bit of thought needs to happen here as to what type of pie you want to give. If the event is close to home, perhaps an elegant lemon meringue – or mousse. 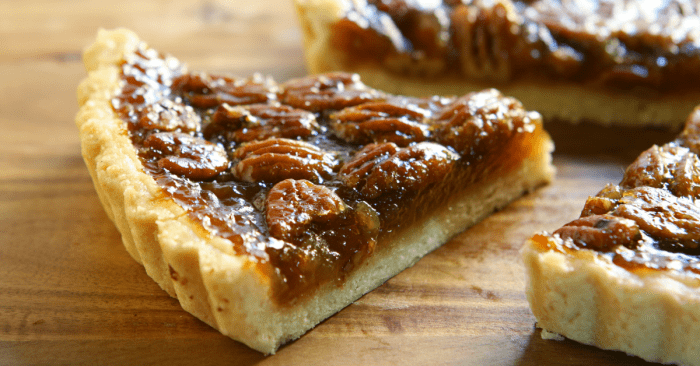 If you need to travel a bit – why not try a delicious chocolate or pecan pie, something with a fairly stable filling, that can be warmed by your host/hostess – or popped into the freezer, so that he or she can enjoy it another day! The final touch is the recipe. I just love the look of these beautiful calligraphy recipe cards and I hope you do too. 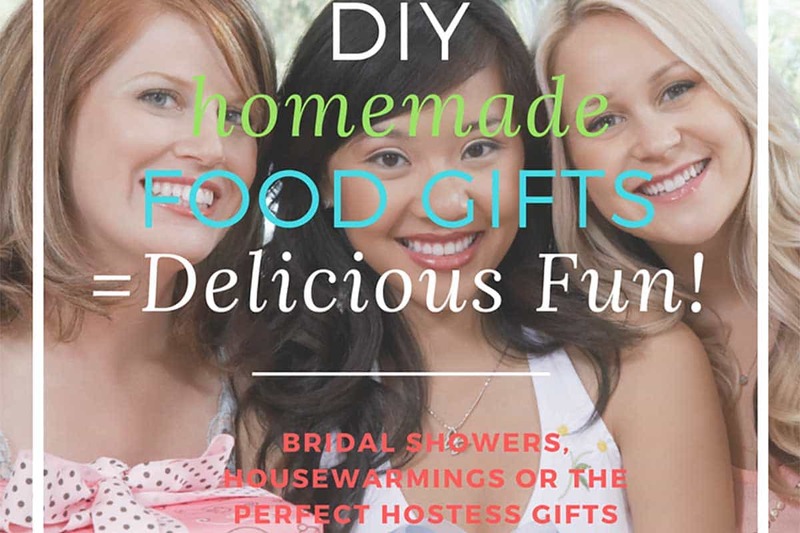 You can be sure that your homemade food gifts idea will be happily received and talked about for some time.